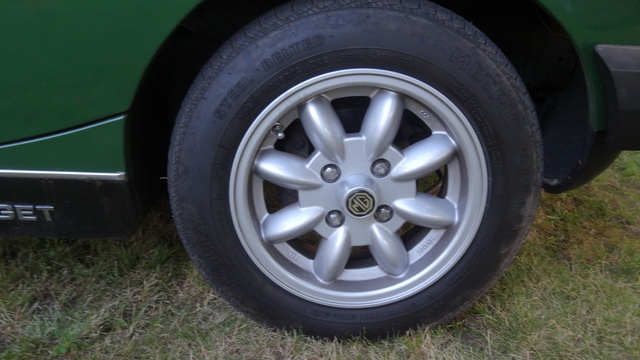 Have you driven a 1976 MG Midget? 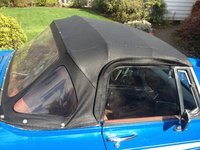 Displaying all 4 1976 MG Midget reviews. Good Little Hobby Car — This four-speed convertible makes for a great ride on sunny days. It has a brand new black top, new seat covers, new tires, new carburator, new automatic choke, new water pump and a new master brake cylinder. Could use a nice paint job. Pros: Good little hobby car. Below Average For Overall Assessment Of This Vehicle. — This was a good project car for my spare time and fun to drive around town with the top down. I bought it from a guy that had it sitting uncovered in the desert sun for 5 plus years. only paid $500 for it with a few extra parts. It had a habit of not wanting to start after it ran for awhile. After it cooled down it would start again. After having it for three years, I ended up selling it to my brother while we were moving across country for $2500. NADA was 3500-10000 depending on the condition. Pros: Good for running around town with the top down. Cons: Hard to find parts. Great Sunday Driver For The Back Roads, Maybe On The Way To Afternoon Tea? — It's fun to drive... Slowly, on back roads. Gets looks all the time, but even those aren't always what you'd hope for. You really sit DOWN in the car, which hampers what should be great visibility. This got better after replacing the seat innards, but still a bit of an issue. Mine needs a lot of work still . Brakes, suspension, cooling system, exhaust, all needs work. Even with all that, it's still a lot of fun to drive. And hey, I only paid $1800 for it. Pros: Fun to drive, fits on the bookshelf. Cons: cramped (go figure) and low on power. Work In Progress — just finishimg a full restore on it. painted cobalt blue, its a high metallic paint. looks pretty sweet. has killer sound system.